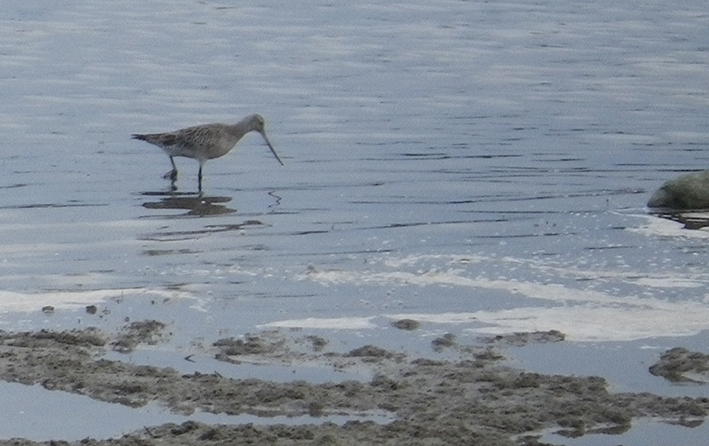 There are Bar Tailed Godwits in our river, feeding in the shallows. There are quite a lot of them but I've only photographed a few here. If you're after more information, the Museum of Victoria has some here. 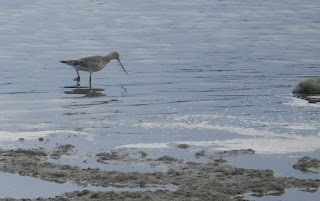 They are migratory birds, coming from Siberia and Alaska, where they breed. They spend summer in Australia, arriving in August or September, and leaving about March. Hmm...since it's April, I guess these are the ones who stay in the southern summer for as long as possible. Although, maybe I did take the photo a few weeks ago, so it would have been the end of March then. Safe travels guys! See you later in the year.